The article stems from a one-year project funded by the University of Wales Board of Celtic Studies to collect and analyse all the evidence for excavated prehistoric and early historic roundhouses in Wales. The resulting dataset will serve as a resource for researchers and, through the analysis provided in this article, provide an important counterpoint to similar studies from elsewhere in Britain. The methodology of the project is presented, and the limitations of the data are discussed in detail. The principal difficulties were associated with dating the building and duration of use of individual structures, and the bias created by a few sites with large numbers of excavated structures. The analysis and interpretation of the data is presented in three sections: chronology, inhabitation and landscape, and historical overview. The emphasis on recently excavated sites with good chronological control has enabled a more confident reconstruction of the history of roundhouse occupation in Wales. This has shown that while the architectural form has relatively early origins with numbers beginning to grow after 1500 BC, it is primarily a feature of first millennium BC and early first millennium AD landscapes. During the first millennium BC, timber- and stone-built settlements are common, initially as enclosed sites, and later, by the Roman period, as both open and enclosed settlements. This is contrary to the situation in many other parts of Britain, where roundhouses and frequently field systems are dated to at least the mid-second millennium BC onwards. There were strong regional differences between regions at this time, with for instance the predominance of stone- and clay-built sites in north-west Wales and the absence of Roman period roundhouses in the north-east. The dataset derived from the project will remain as an important resource with which to research these regional differences in greater detail and to examine the implications of new fieldwork discoveries. It will also serve as a model for future synthesis of later prehistoric and early historic settlement architecture in Britain. The core data are available as a searchable database. The full dataset is archived with the Archaeology Data Service. This article will appeal to: anyone with an interest in the prehistory or early history of Wales, the historical development of house architecture in prehistoric and Roman Britain, and archaeological approaches to the analysis and interpretation of domestic space. 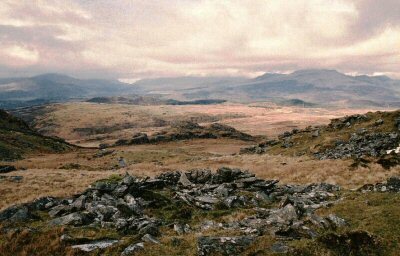 Keywords: roundhouses, Wales, prehistory, early historic, chronology, inhabitation, landscape.